Why is the Beaver Canada’s National Symbol? Animals have long been utilized as cultural symbols by people to represent countries and their citizens. (A very long time indeed! The Lion has been England’s national animal since the 12th century. Warriors who served under Richard I or ‘Richard the Lionheart’ were nicknamed lions). These symbols are intended to bring about a sense of national community, which can inspire feelings of unity and patriotism. Due to nationalistic undertones, generally the animals chosen are often majestic, sometimes even mythical, which is why our buck-toothed, semi-aquatic rodent raises questions every now and then. 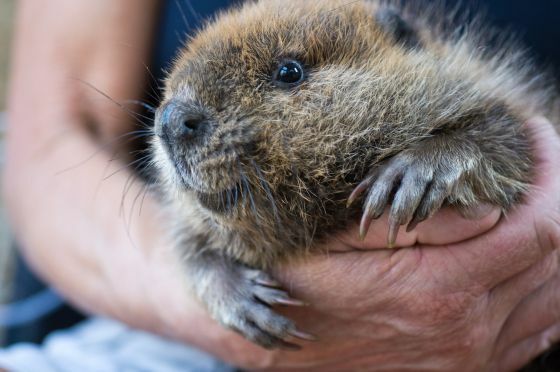 So why exactly did Canada pick the beaver as its national symbol? Because of the fur trade. But the fur trade was definitely a significant factor in the selection of the beaver as an official emblem of Canada. Without the beaver, Canada as we know it, would not exist. Everything changed the moment when early French explorers realized, “Well, they don’t have any gold, but damn! Those rodents would make good looking hats.” Beginning in the 16th century, the fur trade was the backbone of the colonial economy and a major international industry for roughly 300 years. The fur trade was instrumental in the development of the country that would become Canada. Those involved, be it explorers, voyageurs, or coureur des bois, pushed further and further into the North American interior to expand the trade—as well as France’s (and eventually Britain’s) claim over the land. At the heart of the fur trade was the beaver, whose pelts were used to make everything from wool felt hats to robes to winter coats. The use of the beaver as a symbol stems back to the main players of the fur trade, the Hudson’s Bay Company, who put the animal on their coat of arms in 1621. A fur trader in Fort Chipewyan, Northwest Territories (c. 1890s). Overtime, the image of the beaver was used in other coat of arms (ex: Montreal), by other companies (ex: Canadian Pacific Railway Company), and it appeared on the first Canadian postage stamp, the “Three Penny Beaver” of 1851. Given the history of companies and governments using the image of the beaver for representative and monetary purposes, as well as the fact that the beaver actually lives in every province, it is not hard to see why the beaver was given royal assent on March 24, 1975—thereby making them Canada’s official national animal. However, every now and then the debate over whether or not Canada needs a new animal gets renewed. Most recently in 2011, Conservative Senator Nicole Eaton proposed that the polar bear should become Canada’s new national animal because the beaver is a “19th century has-been,” a “dentally defective rat,” and “toothy tyrant” that wreaks havoc on the environment. Yes, this was an actual discussion in the Canadian Senate. Turns out Eaton’s personal hatred of beavers is due to the fact that despite being evicted many times Georgian Bay beavers still think that the main dock near her cottage is a swell place to live. 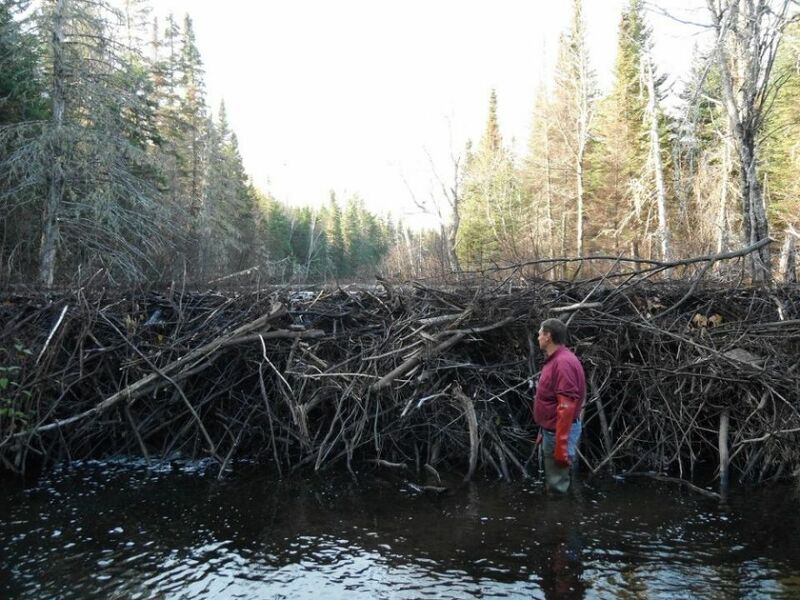 Various farming groups agreed with her sentiments given that sometimes beaver dams can result in the flooding of farmlands. However, the Canadian public overwhelmingly rejected her proposal. When was the last time you built a 6ft house with your teeth? Although the beavers we are used to are called the North American beaver, their scientific name is Castor Canadensis. Their front teeth stick out in front of their lips so that they can cut and chew wood underwater without getting water in their mouth. A beaver’s teeth never stop growing and chewing on trees helps to keep the teeth from getting too long. The beaver’s tail functions like a boat rudder as it helps them steer as they move logs to their dam. Their tails also help with balancing on land when carrying heavy branches. What do you think should be Canada’s national animal? Garai, Jana. The Book of Symbols. New York: Simon & Schuster, (1973). We had beavers building their dams on our farm … very dramatic flooding ensued. Dad swore. Our national animal has been the beaver and should stay that way! I don’t understand the modern trend to change so many things that are tradition. I wholeheartedly agree! I hope they never pick a new national animal. I’m still baffled by the fact this was meant to be serious. I wish there was footage of the day in the senate because I don’t know how she made it through that speech without cracking up! The work ethic of the beaver is an ongoing symbol that inspired hard working Canadians in the past and if we all think about the animal as an inspiration, the beaver should help inspire us today and in the future. Let’s all support the beaver – true symbol of perseverance. 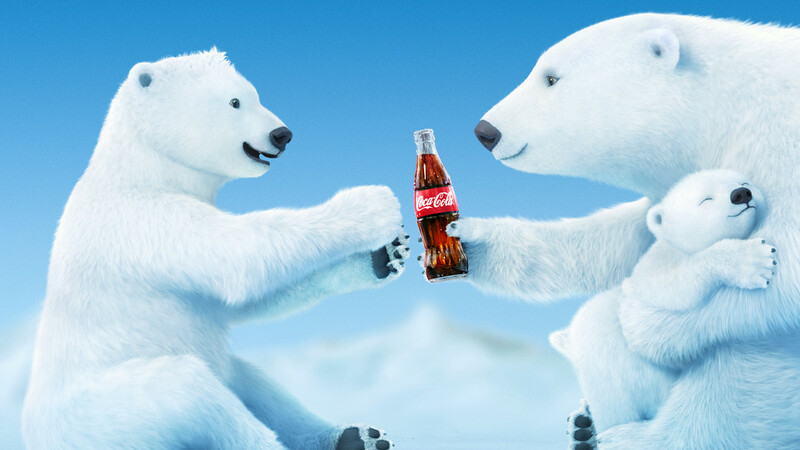 There was talk at one time of making the polar bear Canada’s national animal. Now I will concede that the polar bear is a more majestic animal than the beaver. Nonetheless, the beaver has so many admirable traits – hardworking (even in winter when most other animals hibernate or go south), creative (just look at that picture of the dam above), and plain old cute. Besides, everybody associates Canada with the beaver when they think of us at all. So let’s keep the beaver as our guy! Very well said! I completely agree and hope we never change our national animal. Did you see we might have a new national bird? I did! There’s some controversy over the results because the Grey Jay came in third and the Common Loon actually won. Not too sure why they even had a public poll if they were just going to ignore the results lol. Grey Jays are cute but I was Team Goose. Sorry, I can’t reply directly to your last message (on the gray jays). I always thought that our national bird was the Canada Goose. After all, its scientific name is Branta canadensis. Yes, the gray jay is cute, but there is something uniquely Canadian about the Canada Goose. In other words, the gray jay essentially looks like any other bird, whereas you can’t mistake a Canada Goose. The other thing about the Canada Goose is their behaviour. Have you ever seen a mother Canada Goose with her goslings following her in a straight line? It’s so cute, like a military march – and I’m sure Mama Goose keeps her babies in line! I need to know the author, please, The text under the photos were too funny! I’m the author! Thanks for commenting. I’m glad you enjoyed the post!